Death by PowerPoint is nothing compared to a slow and torturous Death by Documentation. We’ve all been forced at one time or another to listen to a speaker drone on and on, reading directly from a text-laden slide deck. 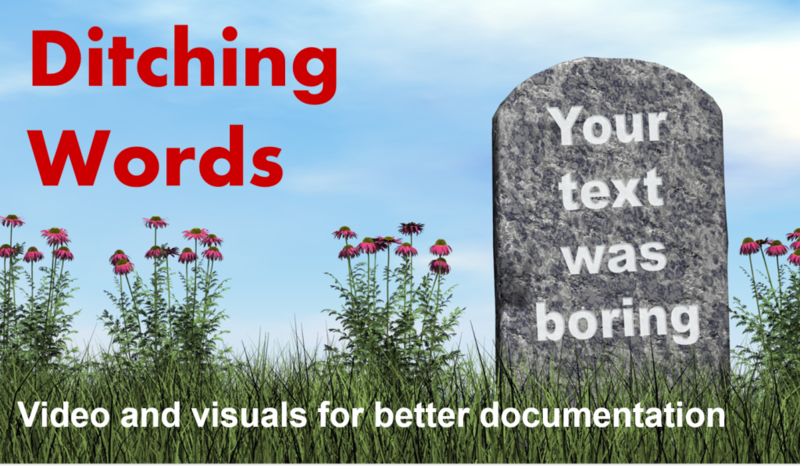 But when’s the last time you took a hard look at the docs within your organization? Let’s face it…Powerpoint might well be Nirvana compared to many technical manuals, and Death by Documentation may be this nation’s real silent killer. Here’s a tongue-in-cheek video I did as a promo for my LavaCon presentation on October 20, 2015. See the end of this post for the more conservative version of the overview. Unless you plan on reworking each piece of long form content by hand, the easiest way to increase the usefulness of your content and decrease the amount of time you spend on customer support is to augment your current content with video of one type or another. Whether it’s camera video, screen capture, or recorded PowerPoint screens, video gives you a chance to capture dense, highly detailed content and deliver it quickly to your audience. Of course, the time and effort you spend on production is a measure of the audience and the reach of the video. While I had a tough time confirming this online, YouTube is widely touted as the 2nd largest search engine. Given that its parent, Google, is numero uno, it’s easy to see that video is a huge part of online search. It’s also easy to see that it’s time for you to get your video documentation groove on! Use what you like, go with what you know, keep it lean, but professional. Budget based upon intended audience and audience size, but get out there and start recording. Sometimes words aren’t enough. For example, in 2015, Pope Francis made an extensive visit to the United States. One of the Pope’s most consistent themes is the importance of children, and I remember being moved when I saw a news report of the Pope’s caravan stopping to bless a young girl that had run out onto the road. You can say “Children matter” a thousand times, but actions (and the resulting visuals) speak much louder. Here’s the interesting thing. When I went to look for an image of that visually stirring moment, I was buried in recent photos of the Pope blessing young children everywhere he went. And not only photos…a Google search on “pope stops on side of road for child” yielded pages of results, all about different events. This is not someone who talks about something, this is someone who consistently lives that message. Video and visuals drive home the true meaning of your message. The toughest part about producing video is getting started. Identifying and planning out the content of the video can be intimidating. But like many daunting tasks, there’s not much too it, but to get started. With that in mind, I’ve put together a list of creative tech comm video projects to jump start your own video documentation projects. If you’d like to see the videos I mention (some are not available publicly), sign up for my free Technical Video Documentation course. Details are at the end of the post, along with the video version of these eight strategies. A. FrameMaker/Photoshop integration. 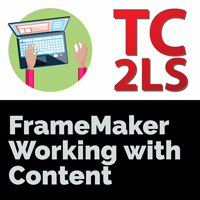 This is a feature that’s long been available in FrameMaker, but never widely used. 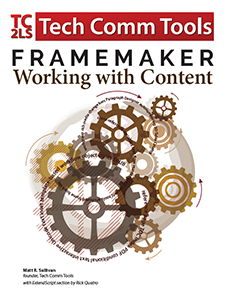 For the FrameMaker 11 release in 2013, Adobe decided to reintroduce the topic with a video (produced by me) which ran on the FrameMaker 11 product page. There’s a good 30 second clip of content that shows how to easily access the integration. Imagine how uninteresting a text description (like this one) of the same thing might be. B. ScreenFlow 5 iPhone screen recording. I use ScreenFlow quite a bit for my own work, (a great $100 product) and liked this video because it shows camera video, a slide deck, and a screen capture within the same piece. The only thing that’s missing is a webcam of the presenter, which would have been easy enough, had the author wanted to flip it on. Here’s an example from a healthcare facility in Orangeville, Ontario. I love this piece because it stands alone, but could easily be accessed via a QR code on a mailer or postcard, or even from within the healthcare centre (yes, the spelling is in deference to the Canadian facility) itself. An Apple Watch video. While this commercial isn’t itself a point of sale tool, every Apple store has an iPad connected to an Apple Watch display which assists customers in discovering the features available in the watch itself. Whether you’re an Apple fan or not, I dare you to say you don’t think more about purchasing an Apple Watch after noodling around through their interactive demo. Ever since my iPod 1 or 2, I’ve been struck with the minimal documentation that comes with Apple products. Then someone pointed out to me that the ads themselves give you much of what you need to operate the products. Imagine… providing intuitive UI, UX, and then providing much of your documentation via network advertising. They simultaneously have product marketing down to both a science and a beautiful art. I earlier mentioned that I use Telestream ScreenFlow for my video work. While a great and intuitive product, there are still some conventions that are confusing for a new, nonprofessional user. Fortunately for me, I ran across ScreenFlow hero, the product of Jules Watkins, a video pro with an impressive Hollywood resume, and with an even more impressive video training program. While I can’t share the videos here, you can check out some of his stuff at the ScreenFlow Hero website. The material is worth many times the cost! Early last year, as I started on this video documentation journey, I ran across an Aussie that was doing incredible things on YouTube, and have since had the pleasure of meeting up with him at conferences we both attend. His name is Gideon Shalwick, and he’s the gent who initially recommended ScreenFlow to me. Gideon’s got a great business creating video intros, outros, and segues for YouTube publishers, but he also recommends products that he finds useful. He does this in a very creative way…He offers up free, valuable content that he thinks would benefit his target demographic, and then afterward, offers that audience a chance to purchase a closely related topic. In truth, it’s one of these videos that led me to purchase ScreenFlow Hero for myself. Check out how he does this. My link skips forward through much of the content, so do yourself a favor and rewind if you have the time! I really hope you’ve gotten this far, because here are two examples that should rattle your sense of what video documentation is and what it soon will be! This first video is using an app on my iPhone that corresponds to a printed card. When the app sees a related card with the phone’s camera, it produces a working, interactive 3d model that displays on the phone’s screen. I’ve the iPhone app experience using a card that has a model of both a beating human heart, and a full human anatomic model. This is one I only found after discovering the DAQRI model described in the preceding section. Again, in my course I’ve skipped forward to the “good” stuff, but you may want to watch the full thing if you have the time. If you’d like more detail and would like to see the videos that go with each of these examples, check out my free Tech Comm Video online course. All you need to do is sign up with your email address to get started. You’ll learn more about some of the cool things you can do with video documentation, and you can go through the material at your own pace. Finally, if you’re headed to LavaCon in New Orleans, make sure you stop by my session on Tuesday at 4:15. 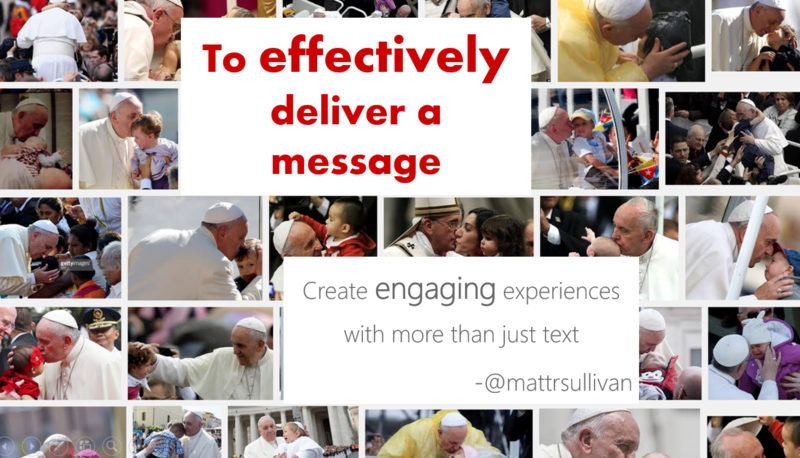 We’ll be covering these concepts, and as you now know…a visual medium is so much more engaging than text!! Let me know in the comments what you think of these videos, and if you have any other great video documentation examples you can share.